Paris, as we know it now, could not have become this kind of city, if momentous historical episodes did not happen. Through the medieval darkness to world’s most cruel war, it survived; it proceeded to grow and to develop. Here are the most substantial milestones in the glorious way of this wonderful city. Paris was named in honor of the tribe known as The Parisii. They had Celtic origin and have come to island known as Ile de la Cité, where they founded a small settlement in 250-225 BC. It was the very background of that Paris we know. The settlement then was controlled by the Roman army. When the Roman Empire fell, Paris, which still existed, became the capital thanks to king Clovis. He united all tribes under his power and made them stop fighting with each other in 508. 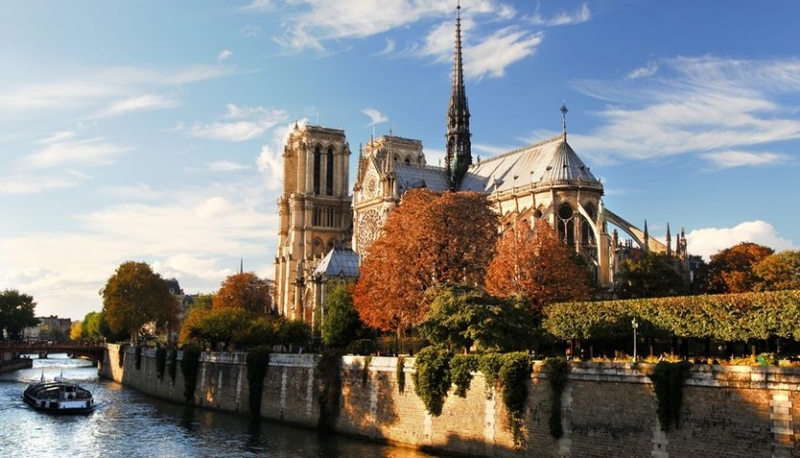 Next important stage of Parisian history was the glorious Notre Dame de Paris cathedral. It is translated to Engish as “Our Lady” and was praised as the most graceful symbol of the city. It was built in Gothic Style with typical French features. Notre Dame de Paris was constructing when Louis VII was the king of France. Did you know why they used to call Paris the City of Light in 18th century? It was not because of the numerous illuminations of the city streets, but for the ‘Englightment” period of the city social life. At this time the absolute monarchy backed away in the face of modern political trends. They also affected cultural life and turned out to be the first harbingers of upcoming Revolution. The French Revolution revealed a different Paris, with the released prisoners of La Bastille, with crowds of people singing the hymns of freedom and with bloody period of the French republic formation. Napoleon Bonaparte, the controversial person, headed it. The most stunning and important period in Paris history was poetically called The Belle Epoque or the Beautiful Era. These times started in 1870 and were significant for all aspects of cultural and social life. It was the time of new technologies, peace and overall wellbeing. The Beautiful era was marked with the Eiffel Tower, and we cannot imagine Paris without it now. Paris Metropolitan was also built at this time. Thanks to this Era, Paris has gained Moulin Rouge and best samples of modernism literature and Impressionism paintings. 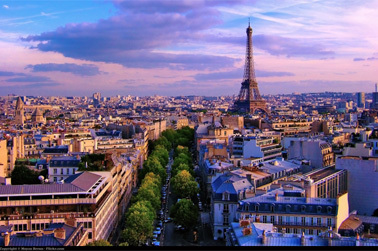 After World War l, Paris found itself in the period of the so-called Crazy Years, which were marked with the Depression. Despite of economical stagnation, the cultural life was boosted by the group of foreign writers, who found their inspiration on Paris streets. During the dark times of World War II the Nazis were going to destroy and burn the French Capital right before Hitler surrendered. By good fortune the Nazis left the city before their awful plan was executed. Paris remained safe and sound.